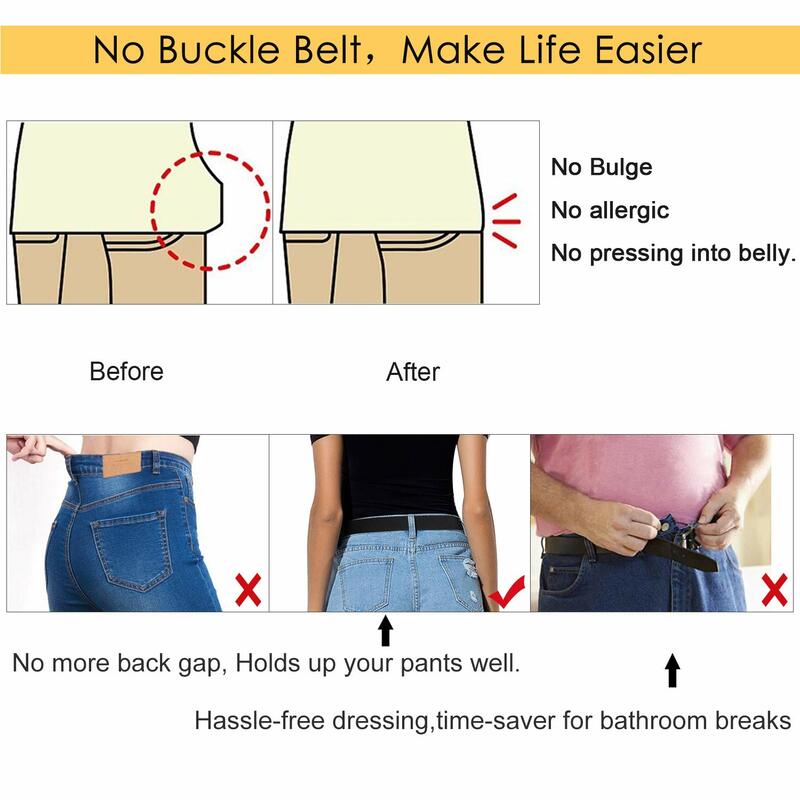 ◕‿◕MAKES LIFE EASIER- Just snap on once and forget you’re wearing a belt all day.It’s time saving,Hassle-free dressing.No need to mess with the belt when going to the bathroom. Make your days stress-free with this convenient belt. 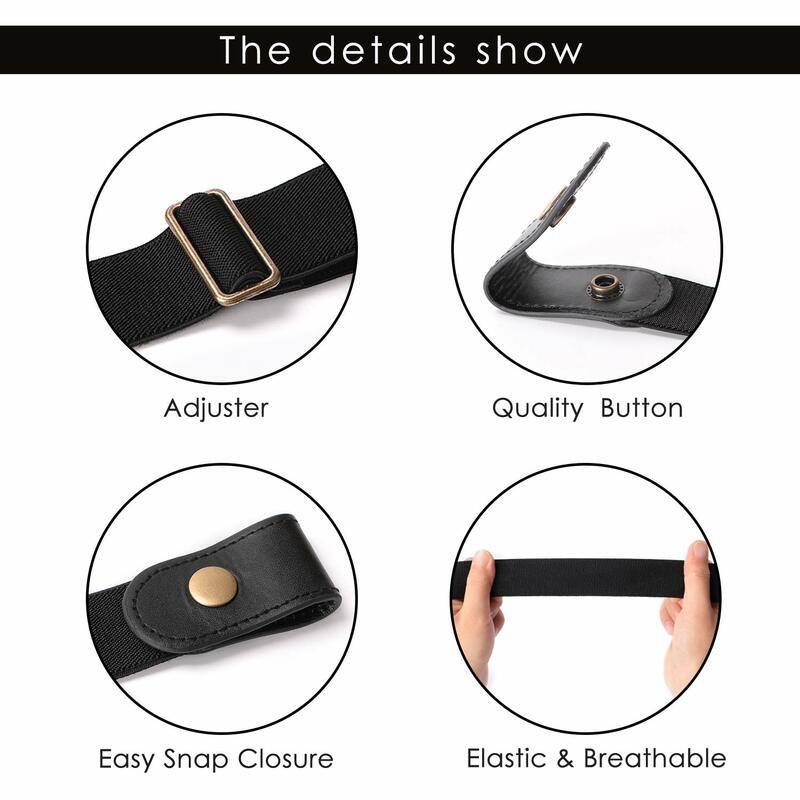 What’s Special About this Buckle Free Stretch Belt ? 1. No Buckle, No Bulge, No allergic,No buckle pressing into your belly.Also No show and invisible. 2. This is a awesome belt which can make your life easier: Hassle-free dressing, time-saver for bathroom breaks! 3. Super Comfortable: feels like you are not wearing a belt at all, and it holds up your pants as well ,no more back gap. 4. 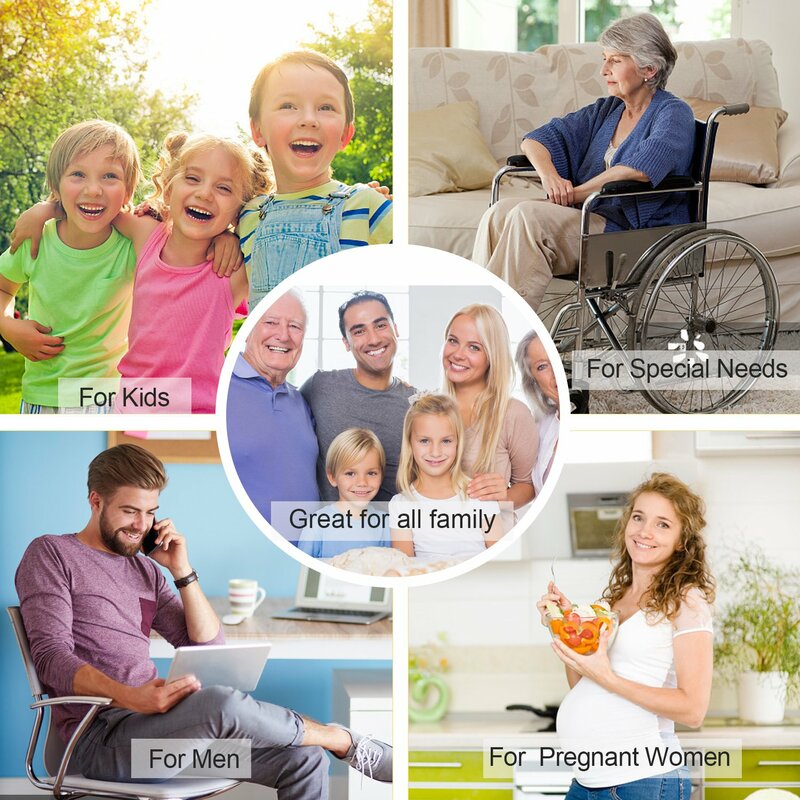 Great for all family: Good for men and women,and kids from potty-training to school. 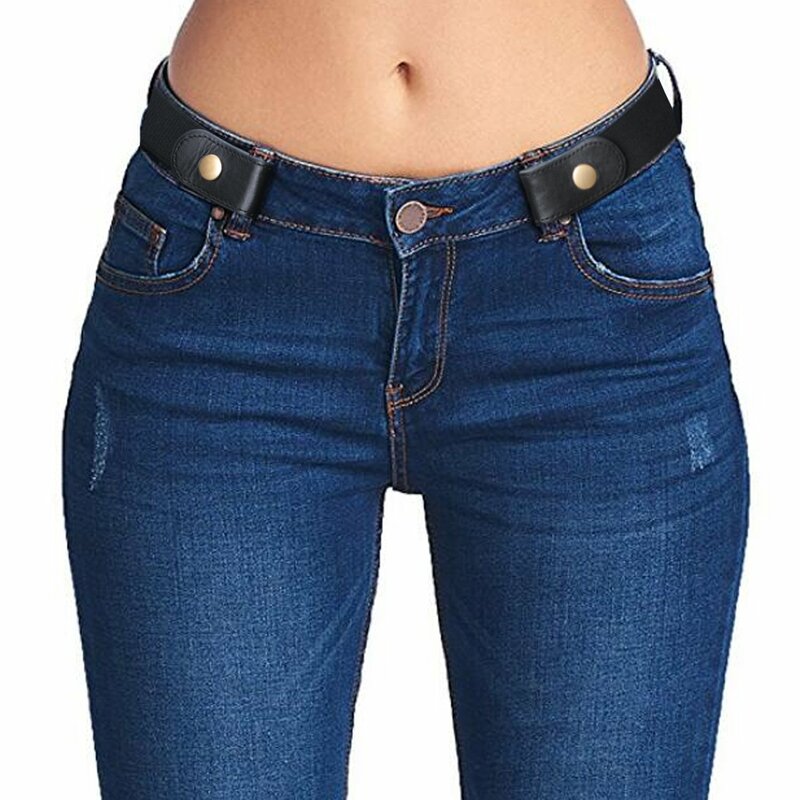 For seniors who may find belt buckles cumbersome, Also a ideal choice for pregnant women when weight changes, or for special needs. 5. 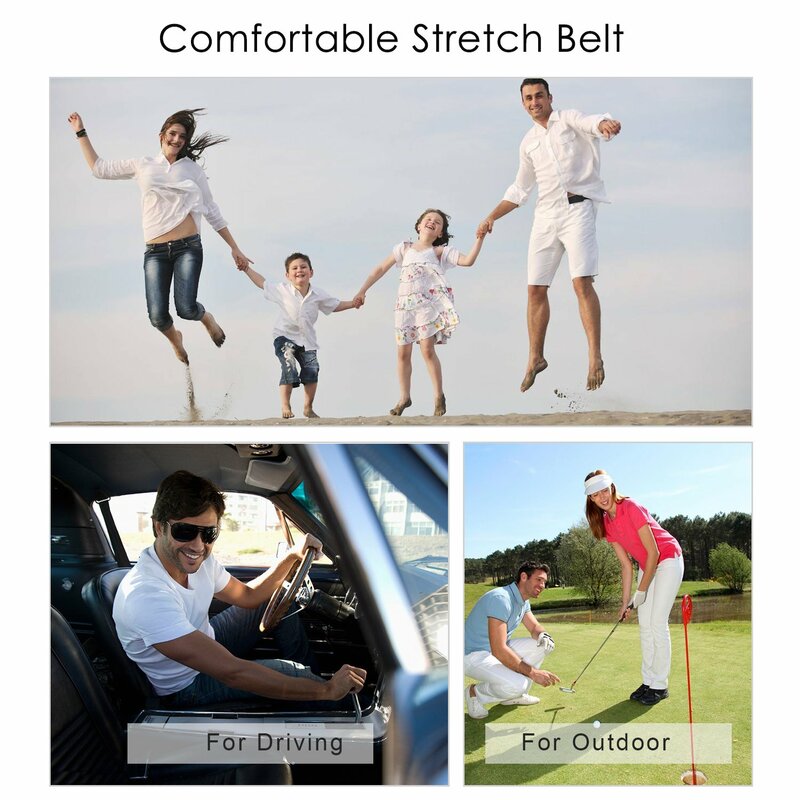 Comfortable Stretch Belt: Made of lightweight and breathable elastic material,this stretch belt allows for free movement, more comfortable during sitting, standing, bending down than the traditional belts. 6. 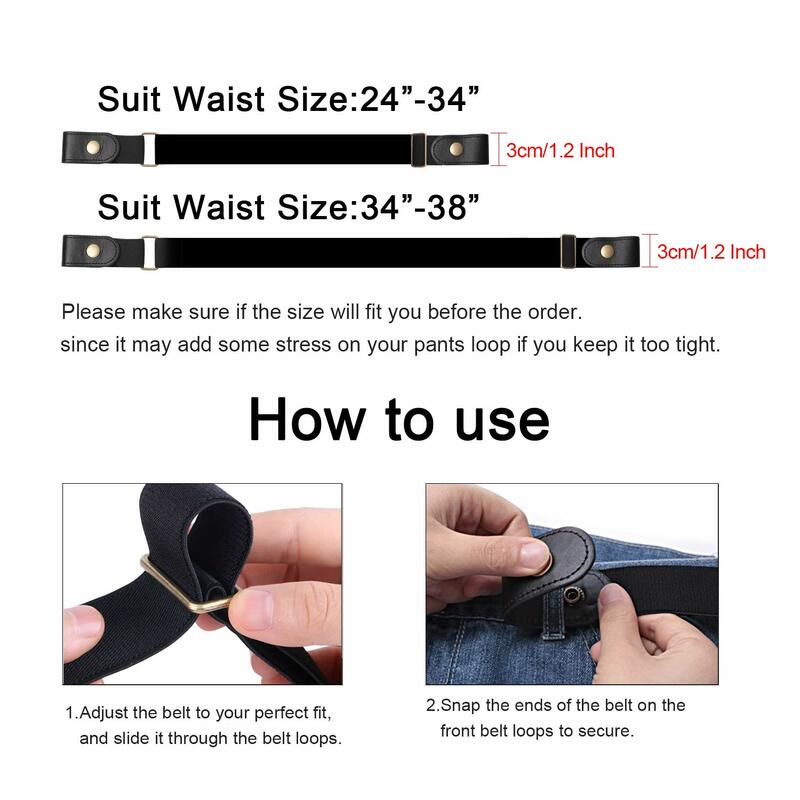 Easy to use : S：Suit for Waist Size 24″-34″, L：Suit for Waist Size 34″-48″,Very simple to use with the easy snap closure.Snap on once and forget you’re wearing a belt all day. 7. Adjustable: Infinitely adjustable to the perfect size you want, also can shape your waist well, show your perfect body. SUOSDEY promise your 100% satisfaction.90 days free exchange and return policy plus 360 days warranty. ◕‿◕EASY TO USE & ADJUSTABLE- Suit for Pants Size 24″-34″,Very simple to use with the easy snap closure. Infinitely adjustable to the perfect size you want, also can shape your waist well, show your perfect body.